Few other signers felt the tragedy of the War for Independence more directly than Francis Lewis, whose wife died as a result of British imprisonment. To further the cause, he also expended a considerable portion of the fortune he had acquired as a merchant. Lewis was the only child of a minister. He was born in 1713 at Llandaff, Glamorganshire, Wales. Orphaned at an early age and raised by relatives, he studied at Westminster School in London and then took employment with a local firm. In 1738, deciding to go into business for himself, he set up branches in New York and Philadelphia and for a few years shuttled between those cities and northern European ports. In 1745 he married a New York girl, his partner's sister. During the French and Indian War, in 1756, while functioning as a clothing contractor for British troops at Fort Oswego, in present New York, Lewis was taken captive and sent to France for imprisonment. Upon his release, apparently in 1763, as a recompense the British Government awarded him a large land grant in America. He returned to New York City, reentered business, and quickly earned a fortune. In 1765 he retired to the village of Whitestone (now part of Flushing), on Long Island, but in 1771 he temporarily returned to New York City to help his son enter the business world, even probably making a voyage to England with him. Back home, Lewis devoted most of his energies to the Revolutionary movement, which he had joined in 1765 by attending the Stamp Act Congress. He was also likely one of the leaders of the New York Sons of Liberty. In 1774 he became a member of the New York Revolutionary committees of fifty-one and sixty, the next year attended the provincial convention, and subsequently helped set up the State government. 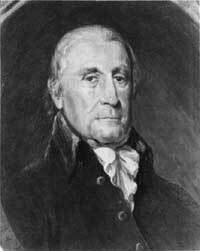 In the Continental Congress (1775-79), Lewis rarely took the floor but served on the marine, foreign affairs, and commerce committees, as well as sitting on the Board of Admiralty and engaging in troop supply matters. He defended Gen. George Washington from the attacks of the Conway Cabal. Because of Tory dominance in New York, Lewis and the other Delegates were instructed not to vote for independence on July 1 and 2, 1776, but Lewis signed the Declaration on August 2. That same year, when the British invaded Long Island, they destroyed Lewis' home in Whitestone and took his wife into custody. She was eventually released in an exchange for wives of British officials, but the hardships she had endured ruined her health and brought about her death in 1779. The grief-stricken Lewis immediately left Congress, but remained on the Board of Admiralty until 1781, at which time he abandoned politics altogether. He lived in retirement with his sons, and died in 1802 at the age of 89 in New York City. He was buried there in an unmarked grave in the yard of Trinity Church. Drawing: Oil, 1906, by Albert Rosenthal, after an engraving from John Sanderson, Biography of the Signers of the Declaration of Independence (1824), Independence National Historical Park.